IFRS reporting solution designed specifically for representative offices of international companies and Russian businesses that require IFRS reporting. Awara IFRS Reporter is intended for IFRS reporting professionals. 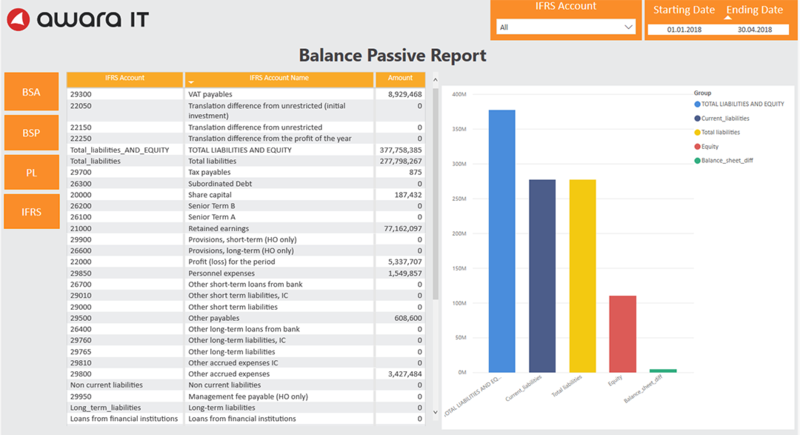 It allows producing GAAP, IFRS, or other reports for the required period with one button click, re-distributing data between parameters in IFRS accounts, “fast close” when IFRS reports provided prior to Russian accounting standard reports and also enables customized reports and automated emailing for assigned users. 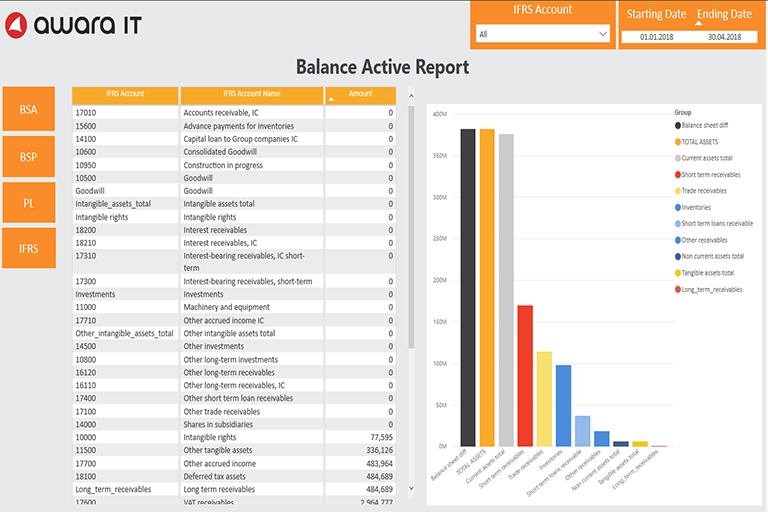 Awara IFRS reporter is a tool that moves the manual (e.g. 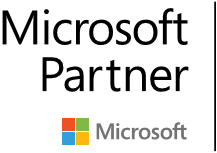 XLS based) routines into a system that is person-independent. Key approach of Awara IFRS Reporter is to convert Russian accounting standards into IFRS accounts according to pre-defined mapping rules. Once having set up the reporter, the preparation of reports is done as automatically as possible. Mapping rules are flexibly set up, and allow making complex transformations. Awara IFRS Reporter gets data from various ERP and accounting systems without using any additional local files. 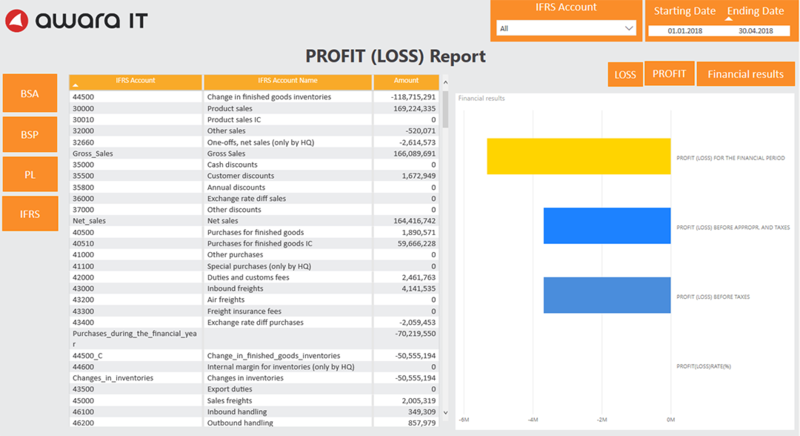 Final reports can be exported from Awara IFRS Reporter. Full and correct audit trail, possibility to track down numbers from the IFRS accounts back to Russian accounts on transaction level, dealing with accruals and adjustments etc. 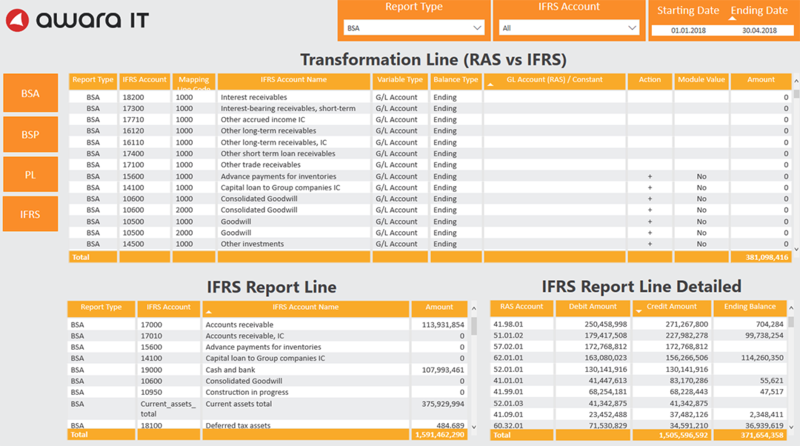 Online IFRS reports available for any time span.